Evolve's Skateboard & Scooter Camp is back in Waterloo for another summer! 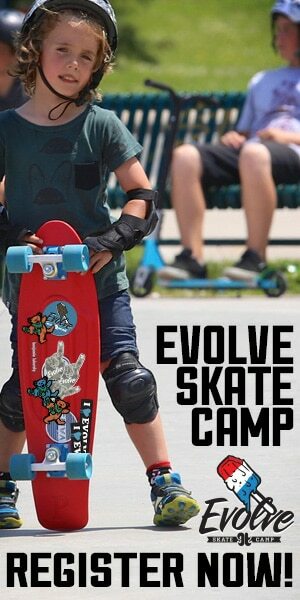 Evolve’s Skateboard & Scooter Camp is back in Waterloo for another awesome summer! Summer 2018 is right around the corner and we are so thrilled to be back in Waterloo! We have more weeks than ever before and we can’t wait to stoke out the kids that skate/ride in the K-W area. We have had some many awesome weeks of Waterloo Skateboard & Scooter Camp is years past and we know that this summer will not disappoint. 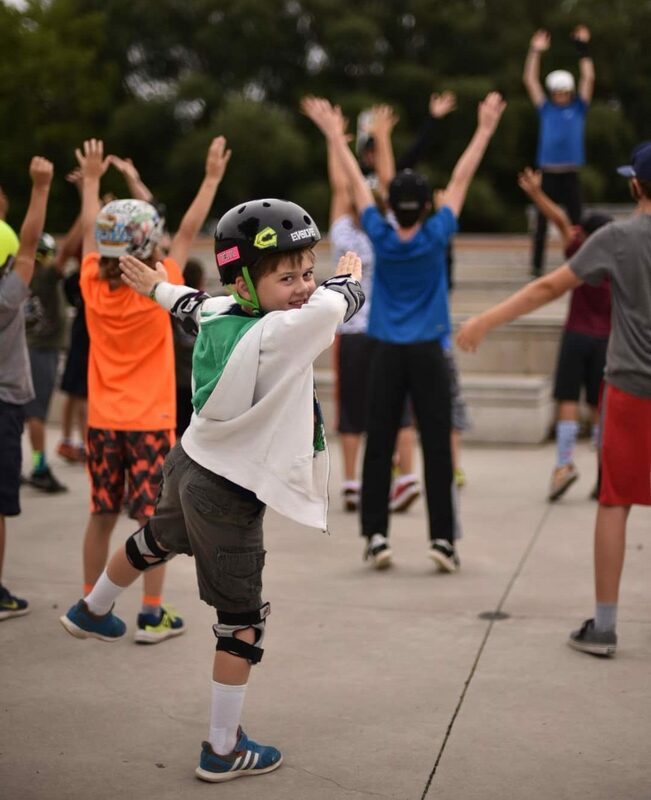 The Waterloo Skatepark at the WMRC is a great venue for our camps, and the City provides us with everything else needed for a great week of camp – like their huge splash pad, an indoor location for rainy day activities, and more! Evolve’s Waterloo Skateboard & Scooter Camp is a drop-off only day camp operating out of Waterloo Skatepark (keep scrolling for more information about Waterloo Skatepark). 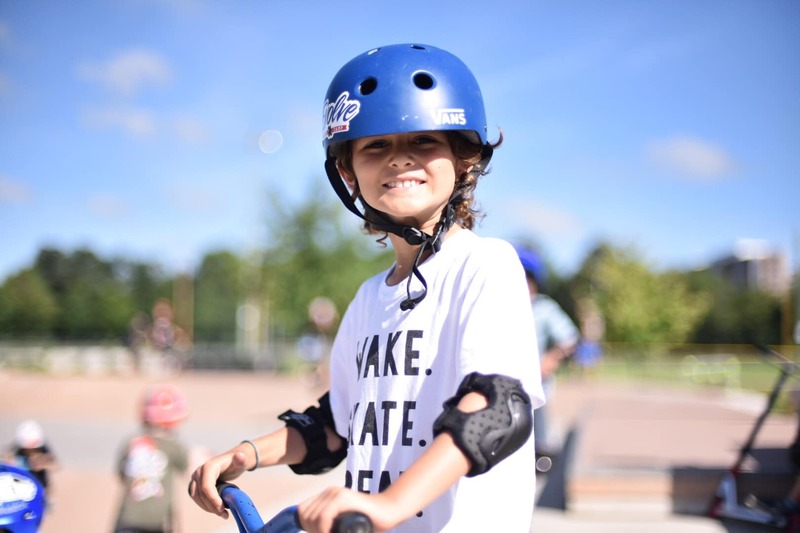 Campers are dropped off each morning at the park to receive personalized instruction and work side-by-side with our qualified coaches on their skateboarding & scootering skills! The Waterloo Skatepark consists of 10,000 square feet of hybrid skatepark and urban plaza elements that encircle the center ‘volcano’ ramp/planter feature which contains a large autumn blaze maple tree. encircled with flatbank ramps that allow skaters/riders to flow around obstacles and through the park. The park is located at the Waterloo Memorial Recreation Complex, at 101 Father David Bauer Drive (click to view on Google Maps). 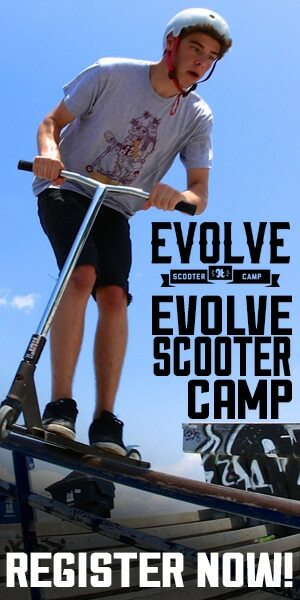 Next Entry:More Milton weeks of Evolve Skateboard & Scooter Camp for Summer 2018!